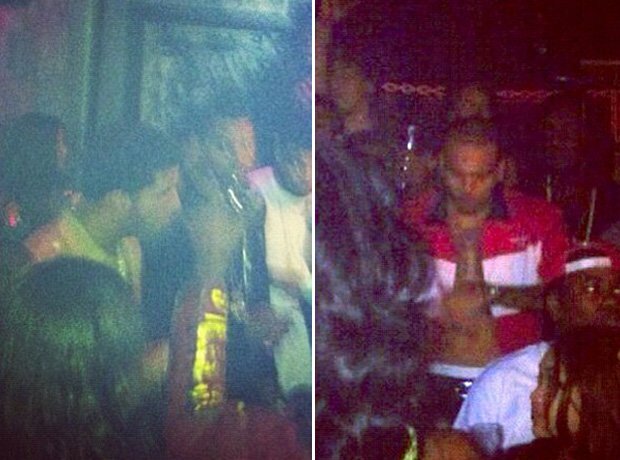 June 2012: Chris and Drake were involved in a bottle fight in a New York club. 11. June 2012: Chris and Drake were involved in a bottle fight in a New York club. The duo allegedly brawled over Breezy's ex-lover, Rihanna - who Drake was reported to be romancing at the time. After Drake reportedly taunted Chris over the situation, a fight broke out between the two entourages, leaving eight people injured after bottles were thrown across the club. Breezy later took to Instagram to showcase a cut on his chin. Neither party faced charges.